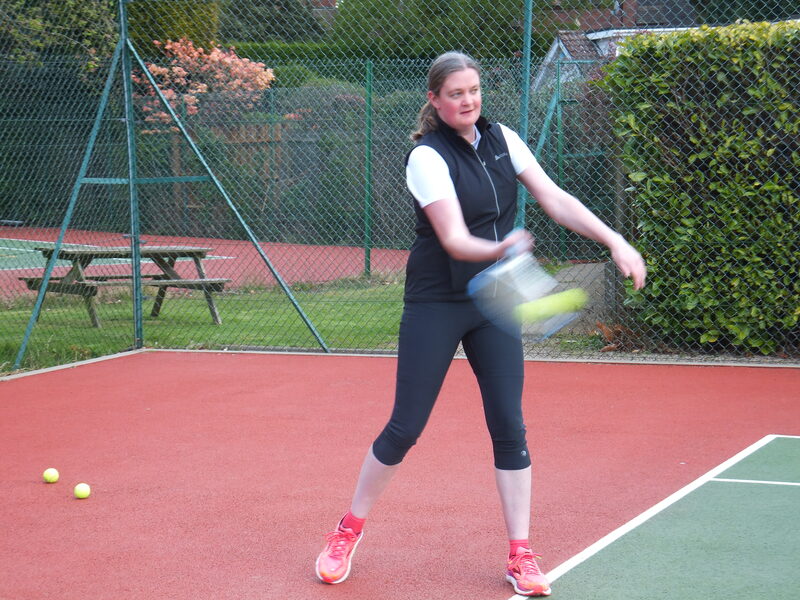 Although I love running, I also enjoy the occasional game of tennis (& the post-tennis beers & banter). Hitting a few tennis balls is a pretty effective way of reducing stress. Yesterday, not for the first time a certain sports brand had irritated me. After hitting a few tennis balls I felt calmer. I also discovered that getting a decent tennis “action” shot is harder than getting a decent running shot. I discovered that when I’m really concentrating I stick my tongue out, I’m so classy. To be a successful tennis player you need to have a decent serve. 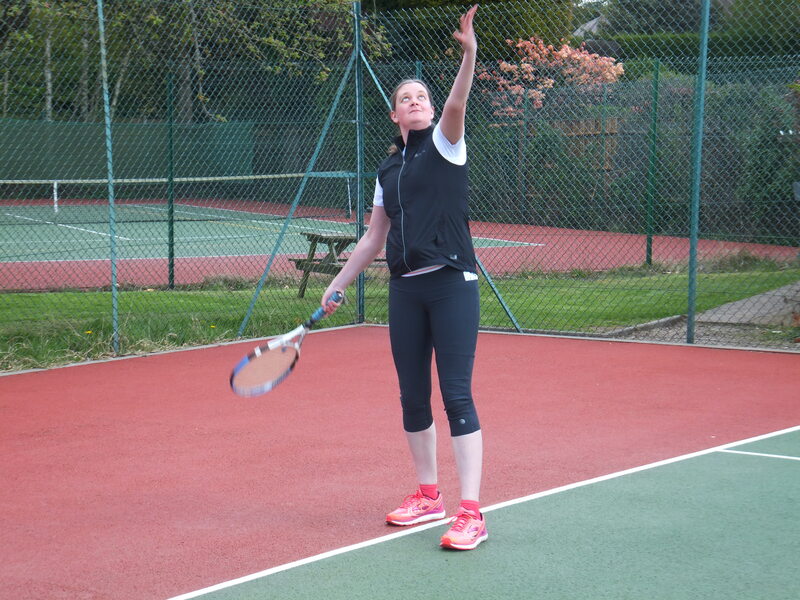 As I’m tall my serve should be one of my main weapons, it isn’t! …or here? Call me Emma the windmill. I urgently need to work on my ball toss. Top tennis tip # 1 Never, ever leave a tennis ball lying by your feet. Always know exactly where your balls are. I learnt this the hard way. 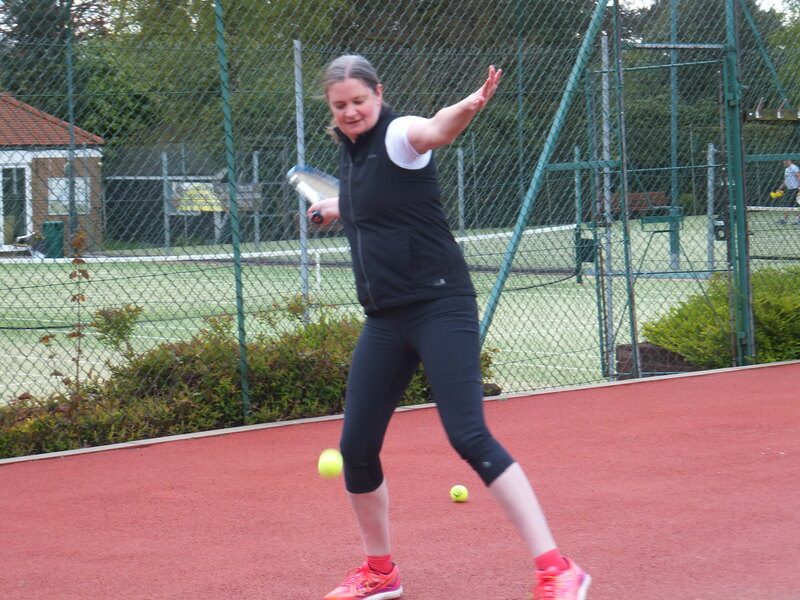 Since I last played tennis I appear to have forgotten how to serve. Surely I can still hit an effective forehand? Anyone can hit a decent forehand. 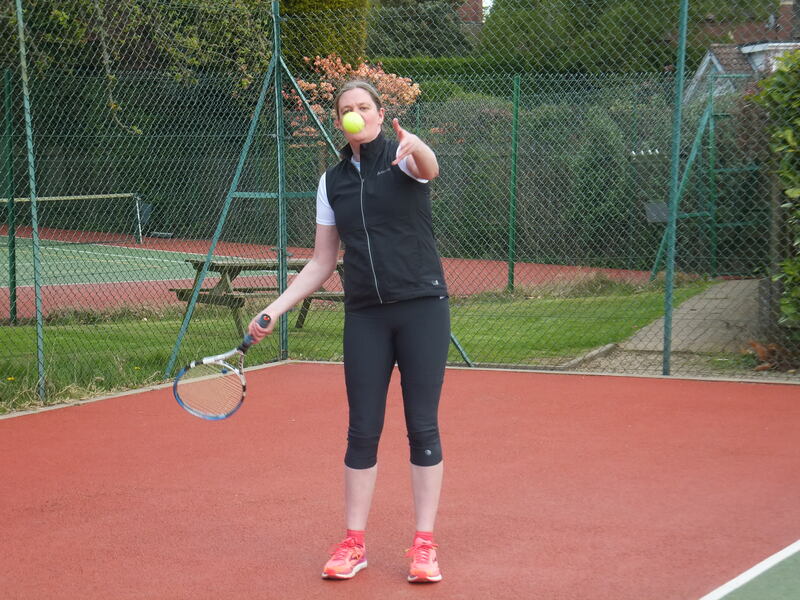 Top tennis tip # 2 Don’t be cocky & expect to be awesome after not hitting a tennis ball for 6 months. This is what I’m calling the “flappy bird” tennis shot. I’m not sure that I can recall Andy Murray playing the flappy bird shot *considers retiring from tennis*. I have also perfected the “floppy arm” tennis shot. I doubt that this shot will feature at Wimbledon this year. Maybe next year? At least I appear to be watching the ball in this photo, eyes on the prize & all of that nonsense. I have no idea what the hell I was trying to do. Top tennis tip # 3 Always wear tennis shoes/trainers, running trainers aren’t supportive enough. Now that summer is almost here *turns on central heating* I’ll hopefully remember how to play tennis. Tennis can be an awesome sport. In my experience you play for about an hour, sometimes win sometimes lose, get eaten alive by midges & then spend the next three hours drinking recovery beers in the bar. 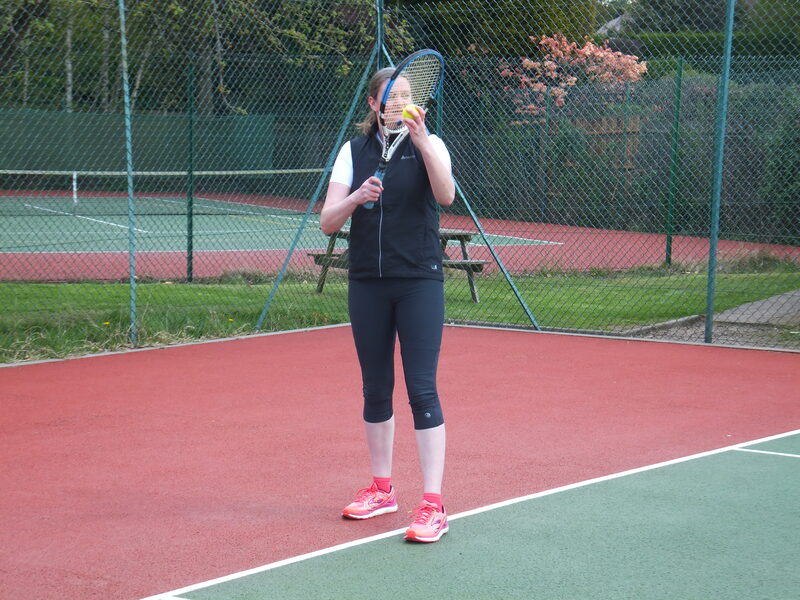 Top tennis tip # 4 There are no umpires, line judges etc. at lower levels, unfortunately some players cheat, a lot. Disclaimer: Clearly the LTA didn’t ask me to write this post. All action photos & opinions are my own.